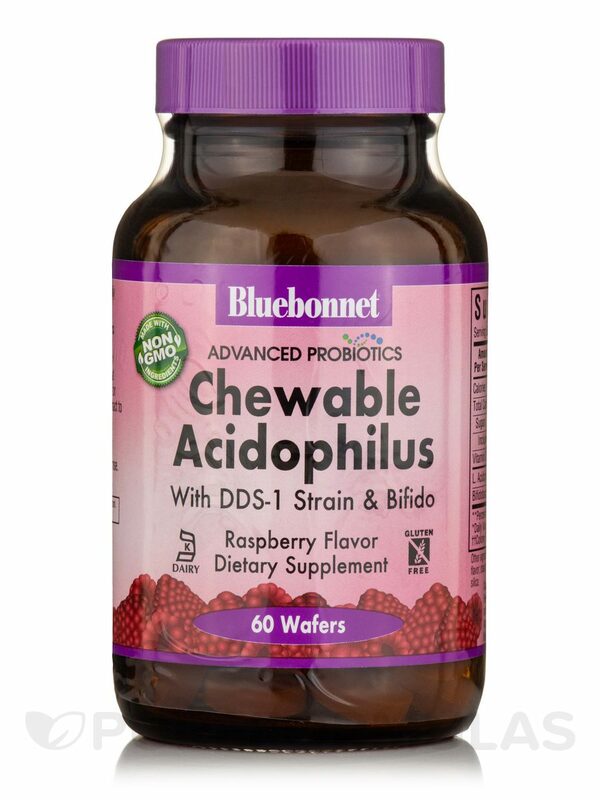 Bluebonnet's Advanced Probiotics® Chewable Acidophilus Wafers are formulated with Dr. Shahani’s clinically studied probiotics‚ DDS-1 strain (a highly stable super strain of L-acidophilus) and bifidobacterium bifidum. 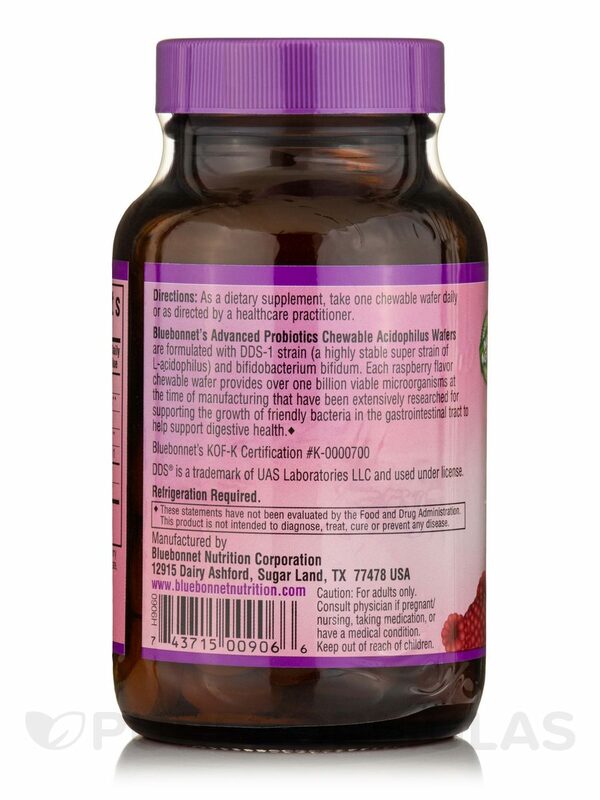 Each natural raspberry flavor chewable wafer provides over one billion viable microorganisms at the time of manufacturing that have been extensively researched for supporting the growth of friendly bacteria in the gastrointestinal tract to help support digestive health. Percent Daily Value is based on a 2‚000 calorie diet. 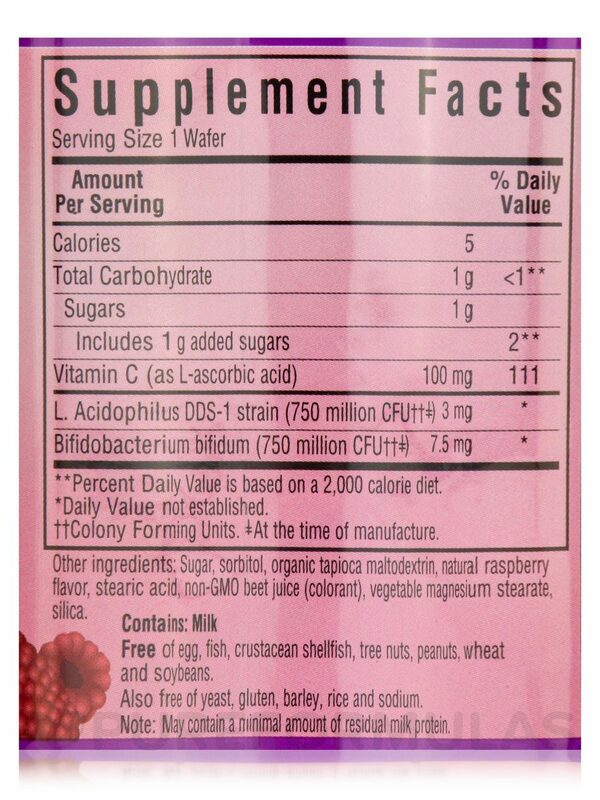 Other Ingredients: Natural raspberry flavor‚ sucrose‚ sorbitol‚ stearic acid‚ vegetable magnesium stearate. Free of egg‚ yeast‚ gluten‚ barley‚ rice‚ sodium‚ fish‚ crustacean shellfish‚ tree nuts‚ peanuts‚ wheat and soybeans. 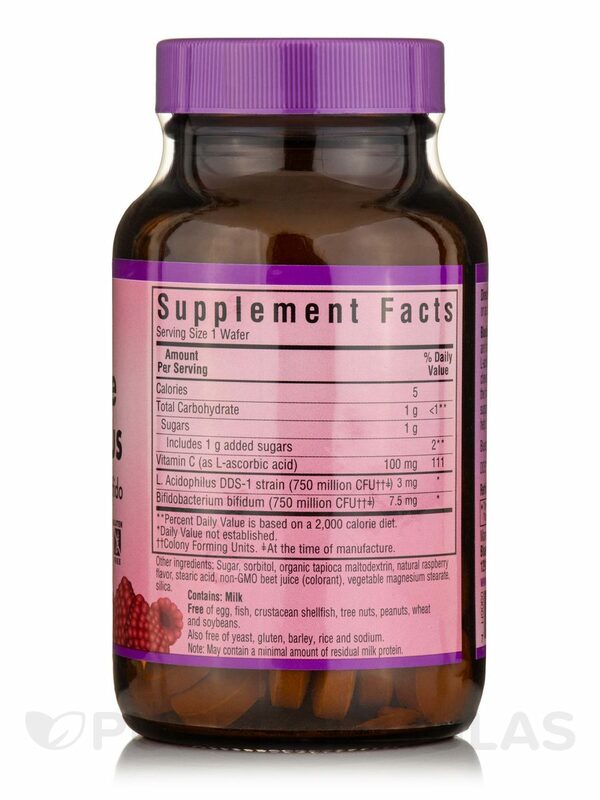 As a dietary supplement‚ take one chewable wafer daily or as directed by a healthcare practitioner. 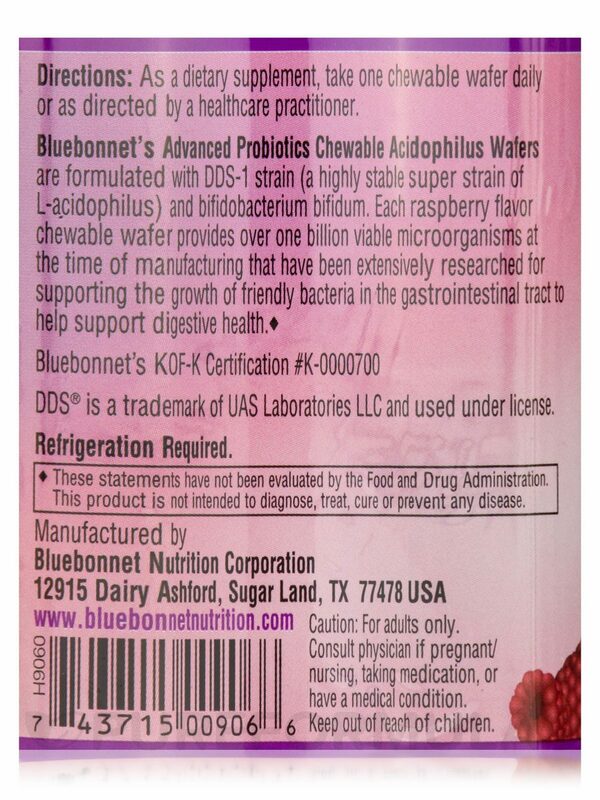 Allergen Caution: Contains Milk. May contain a minimal amount of residual milk protein.